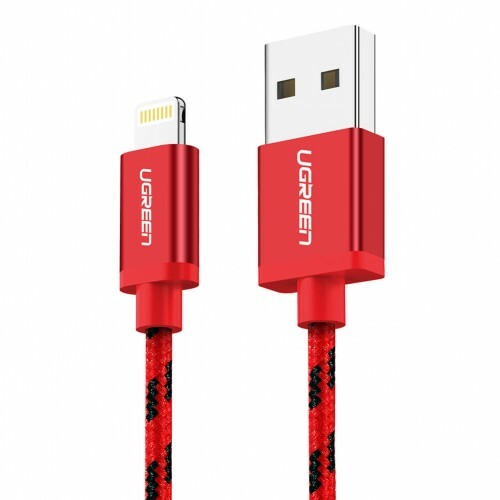 UGreen Lightning Cable 0.5M is built in MFI Certified Chipset, Ensure 100% Original Lightning Cable.This Lightning 8 Pin to USB A Male Cable enables you to easily charge your iPhone 7/7 Plus/5S/5C/5, iPad Air, iPad mini/mini2, iPad 4th generation, iPod 5th generation, iPod nano 7th generation etc and connect to USB port on PC for sync. Made for iPhone, iPad, iPod, each cable contains an authorization chip to ensure complete charge and sync compatibility, no more error or warning message.But it is not compatible for iPhone 4, iPad2, iPad 3, iPod Nano 6, iPod Touch 4 or earlier versions. 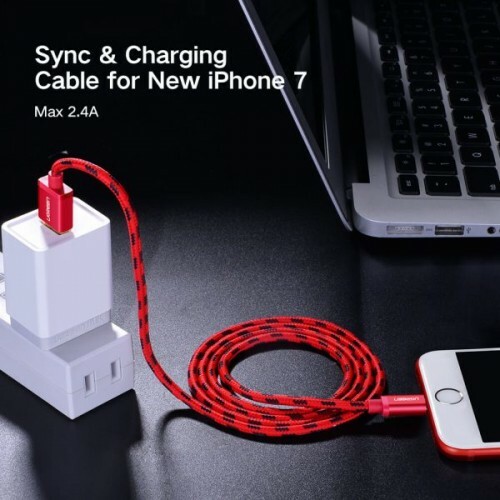 This cable support fast charge with max 2.4 amp charging capabilities from the 2.4A output USB port on wall chargers or car chargers with stylish and slim lightning connector ensures quite flexible and durable use with strain relief.